December is a special time of year for just about all Americans. Those who celebrate Christmas in the Christian sense mark this time of year with quiet prayer and gratitude for many blessings. Those who are strictly secular enjoy setting up Santa-themed decorations and indulging in a piece chocolate each day with advent calendars. Many of us are a combination of the two sides—we enjoy pondering Jesus’ birth but we definitely don’t mind singing a rousing version of “Frosty the Snowman” whenever the opportunity arises. Whatever your predilections are this holiday season, if you’re the owner or manager of a commercial kitchen, you’re focusing on entertaining your guests, whether they’re regulars to your restaurant who stop by all the time or once-in-a-lifetime tourists who are just stopping by for a meal. December is definitely Go Time for many restaurants. Everyone loves going out to eat with family and friends and soaking up the joy of this precious season. 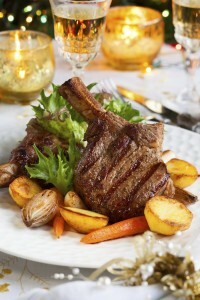 And restaurant owners and managers are happy to oblige and make each meal a memorable event for their guests. Amongst all the excitement, it’s easy to forget about taking the proper safety precautions to make sure your commercial kitchen stays safe and up to code. Why don’t you let Flue Steam permanently take this essential task off your plate? 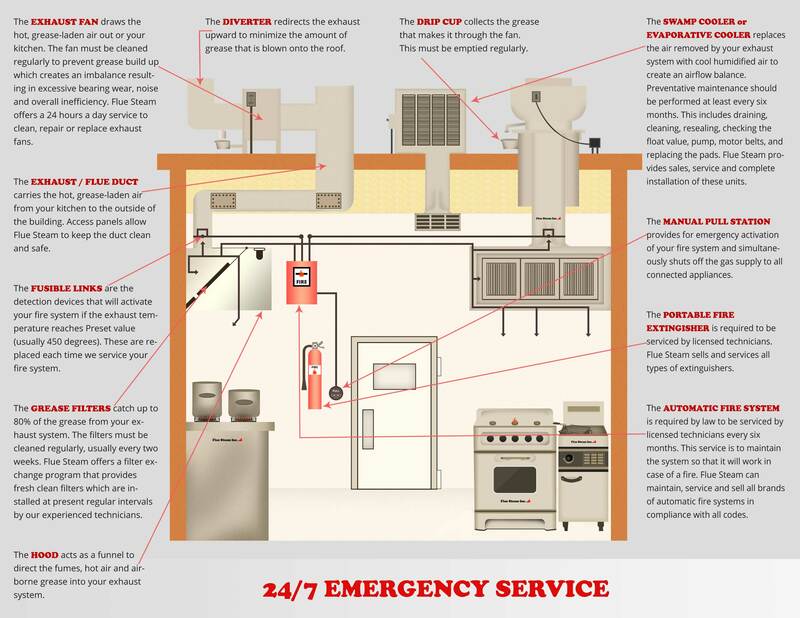 Flue Steam is Southern California’s leading company for air control and fire prevention services. Our expert services can improve your commercial kitchen’s safety, air quality, and energy efficiency—all three of which are highly valued for any commercial kitchen, whether it be part of a restaurant, hotel, or other establishment. Find out more about our services by navigating around our website—there’s tons more specific information here on our blog, and feel free to contact Flue Steam at any time to discuss what we can do for you. We’d like to improve your life and lower your stress levels this holiday season—doesn’t that sound good to you? Call Flue Steam now at 800-700-FLUE or email contact@fluesteam.com. Merry Christmas from all of us at Flue Steam!